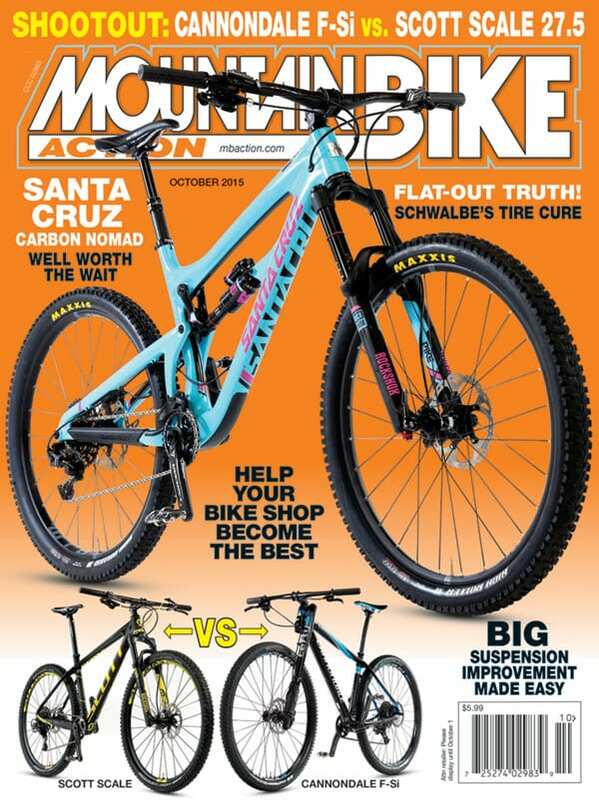 The Santa Cruz Nomad Carbon makes a welcome reappearance in MBA and takes center stage, while the Scott Scale and Cannondale F-Si square off in a cross-country cage match. Photos by John “Jump in my Miami Vice white Ferrari” Ker. Has Schwalbe solved flat tires forever?